Cut a small onion, or half a large one, into thin slices and put them with a piece of butter the size of an egg (or 4 tablespoons of olive oil), into a saucepan and let them brown slightly. Pare a large potato, cut it into thin slices, and wash them. When the onion is browned, add the potato and other vegetables to it, and cover the pan. Mix the wheat flour with a little water, so it doesn’t become lumpy; then add enough water to make about a cupful in all. Put in the teaspoon of curry powder (more or less according to taste) and a teaspoon of salt. Add this mixture to the vegetables after they have cooked about fifteen minutes and are almost soft. Cook in a double broiler and allow it to cook gently for approximately an hour. Add macaroni or bread bits if you desire. Mix the curry with boiled rice or hominy. Reprinted with permission from Farmstand Favorites: Pumpkins. 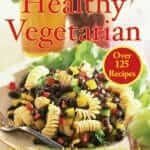 ISBN: 978-1-57826-357-8 $5.95 (paperback). From Hatherleigh Press. Distributed by Random House. Kickstart Your Morning with These Tasty Pumpkin Pancakes! 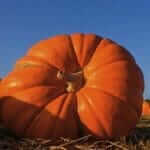 Nutrition, Recipes Farmstand Favorites, pumpkins, side dish, vegetarian permalink.